through nights that never end. Yes. And it's 6 more months of lullabies till Saratoga reopens for the 2013 meet. Well, it's now midway between opening day of last year's meet and this year's. It's also Eclipse Awards season--just presented this past weekend. 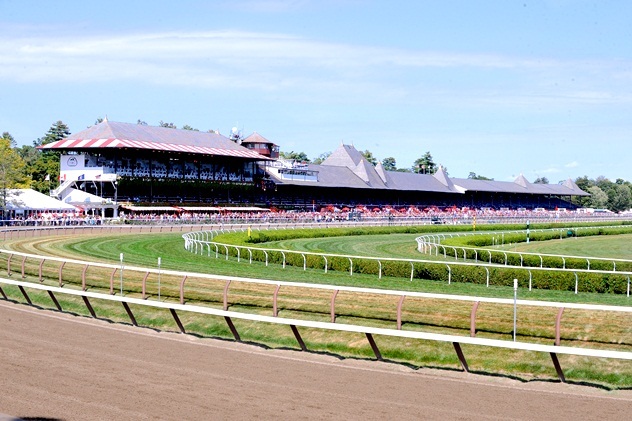 And most of the winning athletes punched their tickets at Saratoga. So, for the next few posts, it will be a nostalgic journey through the 2012 summer at Saratoga. We'll look at the highlights. OK, my humble picks as highlights. You may disagree. Readers who know lots more than I do about thoroughbred racing may have included others and excluded some on my list. So be it. 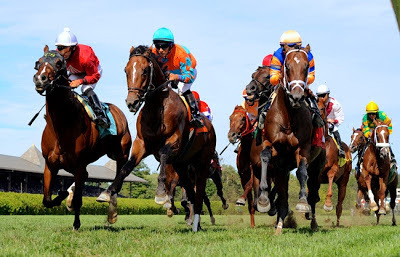 But I'm confident that everything I select is A highlight of sorts, and will help to recall another extraordinarily thrilling season at Saratoga Racecourse. 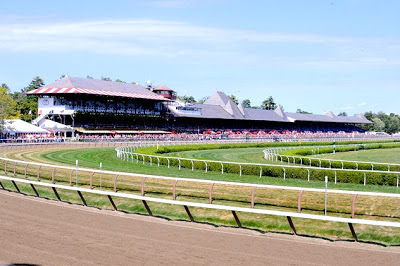 Or for those who didn't get the chance to visit, or don't even know what the fuss is all about, some demonstration of why so many of us have such an emotional attachment to Saratoga. Just like we've had for Mantle, Joe D, Yogi, The Duke (Snyder), Willis Reed, and others in sports and elsewhere--uh, as in Sinatra and Billie and.... OK, enough of that. But, what we all can certainly agree upon is the magnificent photography included in these Saratoga Highlights. Virtually all the shots to be included are by my bud, a great guy, Eclipse Award winning photographer--day job being attorney and chief clerk of a state appeals court-- Robert Mayberger. Yes, his shots have adorned Saratoga Highlights before. So, unless otherwise indicated, all the stunning photography is Bob's. 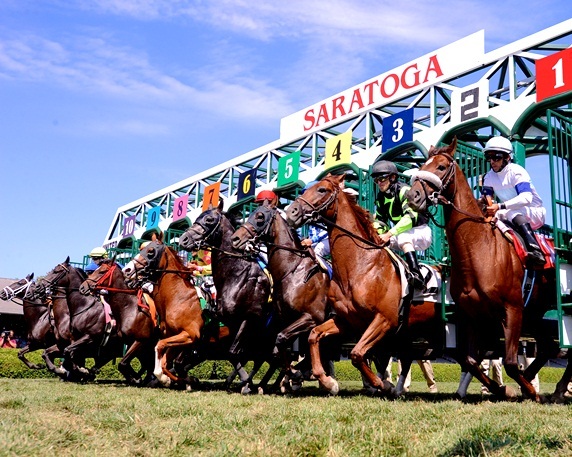 As is the following--our starting gate for Saratoga Highlights--Summer 2012. This series, on the best of the best that is Saratoga, proceeds in earnest with the #1 highlight--actually, highlights--in the immediately following post.